HSBC has joined the ranks of analysts and investors who have lowered their expectations for Apple after the company's revenue warning, with the firm seeing issues both with the iPhone's average selling price and how the company is handling multiple issues in China. In a note to investors on Wednesday titled "China bites even more," HSBC's analysts admitted "although we had expected challenges for Apple in China and other economies, the intensity has surprised us to the downside. HSBC has altered its price target for Apple a second time in a two-month period, setting the target from $200 to $160 per share, a more dramatic reduction compared to December's drop from $205 to $200. HSBC's note follows a week after Apple warned investors it was anticipating reduced revenue for its quarterly result of $84 billion, down from its originally anticipated range of between $89 billion and $93 billion. Apple CEO Tim Cook highlighted "lower than anticipated iPhone revenue, primarily in Greater China," as being the main cause for the revenue shortfall, with weaker iPhone upgrades being a major issue. "China situation remains complex; patents disputes add to the headwinds," advises HSBC, referencing an iPhone ban issued by a Chinese court over alleged infringement of Qualcomm's patents. China accounted for 20 percent of Apple's total revenue for hardware and Services for the full year of 2018, meaning the country "remains important to Apple," suggests HSBC. The analysts also blamed the current dispute between the Trump Administration in the United States with the Chinese government. "The US-China trade tensions appear to have not just impacted the Chinese economy, but also consumers' attitude towards Apple products." HSBC's analysis on China differs from the advice offered by Commerce Secretary Wilbur Ross on Monday, who claimed Apple's financial woes were not due to the trade tensions, but at the same time admitting the tariffs on Chinese imports "certainly has hurt the Chinese economy." Apple has also become the victim of a product boycott, urged by Chinese firms in response to the tariffs, as well as showing solidarity with Meng Wanzhou, the Huawei CFO who was arrested in China at the request of the U.S. government. Firms in the country have offered to subsidize employee smartphone purchases if they acquire the devices from local vendors, while some issued threats against those buying Apple goods or using iPhones for work. 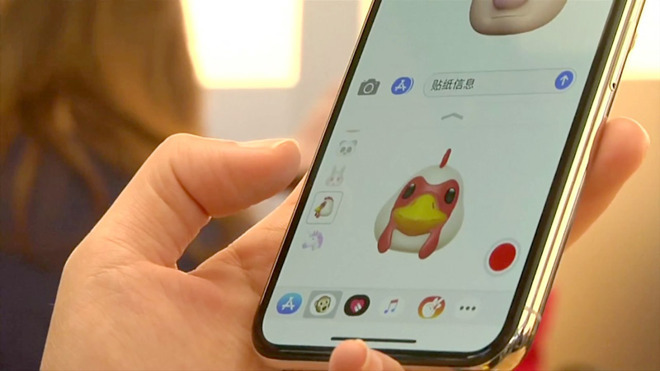 HSBC joins the chorus of analysts suggesting Apple is in a poor situation, one that issued numerous comments about Apple's guidance miss within days of Apple's announcement, and offering similar statements on Apple's business in China. While China is a major issue for HSBC, it warns of the problem of relaxed sales growth, with unit shipments somewhat stagnating compared to last year's results, but are saved in part by Apple's high iPhone average selling price. HSBC analyst Erwan Rambourg suggests it will be hard for Apple to continue to "dramatically" raise the ASP for the coming years to combat the sales dropoff. There are rumours of the price cuts in China coming to Europe. In a first phase through discounting through official resellers. Currently Amazon Spain is offering the black XR 64GB for 808€, that is 51€ less than usual and more or less in line with the cuts in China. Interesting. I wonder if Amazon is taking the hit to spur sales or are they being wholesaled at a discount by Apple? I think it is direct from Apple but not uniform across models (the XR Product Red was 822€). I was reading a rumour about Apple transferring the Chinese price cuts to the EU and in the comments, users in Germany were claiming to have seen discounts already applied through select resellers and mentioning Amazon. I decided to check out the Apple sponsored site at Amazon Spain and saw the Black XR discounted. At the same time, this story went live on AI and I posted. We'll find out over the coming hours/days if these discounts become more widespread across the EU and for how long. Those Chinese need to read DED’s editorials so that they are happy to pay the highest prices for Apple iPhones. The cat is out the bag now, they don't need to hide the fact that sales have dropped; therefore dropping prices won't be penalised by Wall St quite so much. Which means they might be a bit more open to doing so now. Other companies do it, but Apple's pedestal means any sign of a wobble means everyone gets overexcited and incorrectly calls doom. I'd like them to drop prices, and hopefully they will. I thought the X was going to be a one-off 10 year anniversary phone with a "special" price, and then back to normal. But seems the dollars rolling in lit up Cook's eyes and he thought he could keep the prices high. How wrong he was. Apple used more expensive phones to offset the decline in unit growth. The theory being if they wasn’t unit growth at least they could show revenue and ASP growth. Of course that doesn’t work when the higher prices give consumers sticker shock and they decide to hold on to what they have. Some of Tim Cook’s remedies are laughable, like making the upgrade process easier. What? Restoring from iCloud backup is as easy as it’s ever been, and Apple also has tools that make it easy to migrate from an Android device. Same with bringing up subsidies (which haven’t existed for several years now). If you have to find ways to make people think your phone is cheaper than it really is isn’t that a problem? The article incorrectly states that the Huawei CFO was arrested in China ("...Meng Wanzhou, the Huawei CFO who was arrested in China at the request of the U.S. government."). She was arrested and remains detained in Canada awaiting US extradition. Where are the microLED display phones and watches. I thought Apple started investing in that 5 years ago. Cook was supposed to have invested in that so that they would not need to pay Samsung for expensive OLED displays. Unfortunately another area world’s biggest company underinvested in R&D. Last I read MicroLED was better but more expensive. Can you point to the source where Tim Cook stated that they were investing in microLED to put into new iPhones, to avoid paying for Samsung's OLED? Analysts (or at least what we see as the 'public' ones) continue to demonstrate their worth. Provide a stock price target cut AFTER the stock has already dropped well below their previous target. In the future, when Apple stock moves quickly beyond their low target price, they will then revise it upwards. Such usefulness! Now just the rumor of a price cut will help halt the EU markets. Prosit Tim ! You have no idea how far along in R&D they are. Another armchair analyst who thinks Apple isn't throwing the correct amount of money at a problem, whatever that might be.